We all want to live happy or fulfilled lives and we all have different ideas about how to do it. But we know that whatever precautions we take and however fortunate we are, there will be bad times as well as good. What matters is how we cope with everything that happens and for that we need to develop skills that help us to retain or recover our inner peace. When we start to look at our inner lives – which is a skill in itself – we see that our thoughts, impulses and inner responses follow patterns or habits. These habits are the key to how happily we can live. If we change the habits we change our take on the world and everything in it. If we do this systematically we can move our inner lives in the direction of greater serenity and inner peace whatever happens to us. The idea that training the inner life leads to inner peace appears as a major theme of many religions. But it appears there in the context of faith, whereas here it is a simple consequence of the universal desire to live happily, a consequence of taking happiness seriously and – most important – doing something about it. Practice is the key as with any kind of skill. Belief is not the issue. 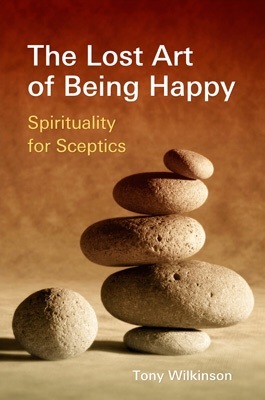 But the process has so much in common with spiritual practice undertaken for religious ends that it is a form of spirituality – a spirituality for sceptics. The key to happiness is the practice of inner skills, but what skills should we practice? The book provides a system of five groups – not because this is the only way, but because we need a plan, a training regime with a clear link to the objective.